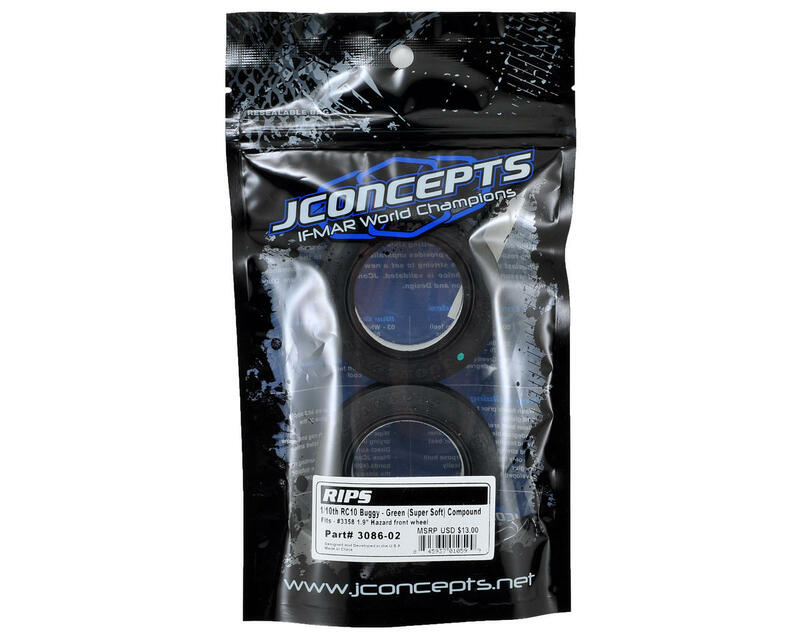 This is a pack of two optional JConcepts Rips 1.9" Front Buggy Tires, in Green (Super Soft) compound. The Rips, one of the more reliable tires for 1/10th buggy off-road, is now available in a classic form for vintage size wheels. The RC10 Classic has owners asking for a higher traction alternative to the kit tires giving the 1984 vintage buggy more steering increasing the fun-factor. The Rips fit a classic style 1.9” sized wheel giving the buggy an era correct appearance in size and proportion. 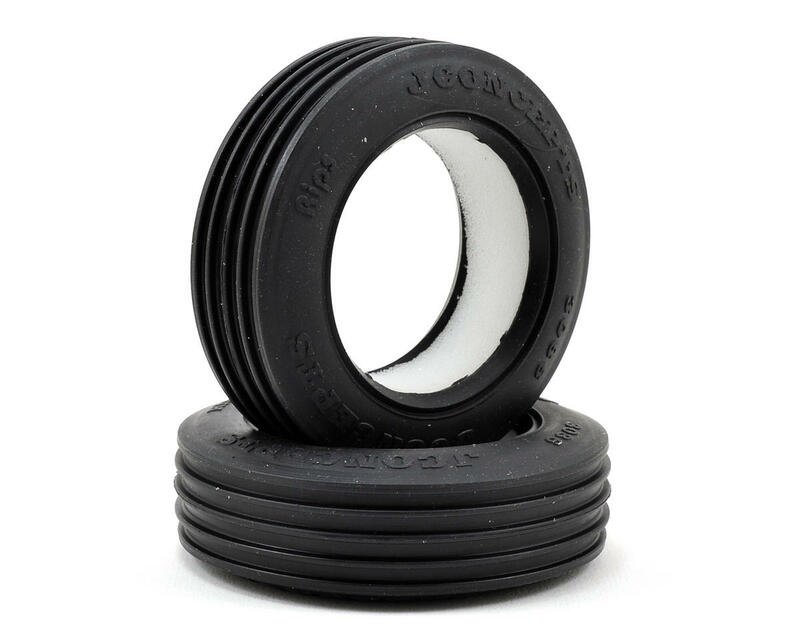 The high-traction tires are produced in JConcepts sticky green (Super Soft) compound and include And-1 open cell inserts for increased support. The Rips are modeled after the original kit front tires with a slightly rounded side-wall that progressively angles toward the top. The rounded edges of the Rips peak out and return to the base exposing the deep Ripped ribs which tile out as an evenly spaced 5-rib tire. The smooth and grippy feeling of the front tire is immediately felt on rough terrain and more specifically low grip, loose and wet conditions. The vintage inspired tire lettering, along with finely detailed, crisp, JConcepts ribs finish off an all out effort for vintage racing.